Food, clothing, toys and school books – raising a child comes with many different expenses. And during a divorce, key decisions have to be made about how such costs will be met in the future. In any lawsuit involving a minor child, it must be decided how the child will be supported financially. The Texas Family Code includes a standardized calculation for determining Child Support payments – but in many cases, this guideline amount isn’t realistic. At GoransonBain Ausley, we understand that no two families are the same – and that your children’s financial needs are unique. So we work with you to find the right strategy for determining Child Support. Whether that’s simply following the traditional guidelines or taking an approach that’s specifically tailored to your family. There are few family law issues more emotionally charged than the question of how much money the non-custodial parent should pay for the support of his or her child. At GoransonBain Ausley, our lawyers know Texas law regarding child support, and advocate tirelessly for the outcome that is in the best interests of both our client and our client’s child. While it is almost universally viewed as a responsibility and an obligation, determining an appropriate amount of financial support often leads to disputes. This is especially true for parents with higher incomes or significant estates. Income for purposes of child support calculations includes 100 percent of wage and salary income, commissions, overtime pay, tips, bonuses, profit-sharing, interest, dividends, royalty income, self-employment income, and net rental income. A good family law attorney will point out that benefits also constitute income: retirement benefits, pension benefits, social security and unemployment benefits, etc. All income being received is taken into consideration for purposes of calculating child support. Six or more children: not less than 40% of net monthly income. The above structure is only a presumptive guideline for child support calculation; it does not necessarily mandate a certain award. For instance, if the court believes that the non-custodial parent is not earning what he or she could, then the court can base child support on the earning potential of the non-custodial spouse. Also, parties can reach agreement on a child support amount that differs from the guidelines. If the court finds that the agreement is in the best interests of the child, the court will sign an order based on the agreement. If not, the court will ask the parties to submit a revised agreement. 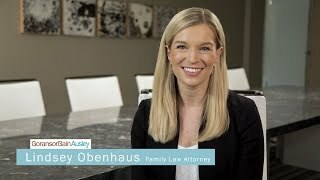 GoransonBain Ausley lawyers focus on identifying the financial needs of the child and then advocating from a “best interest of the child” perspective both in and out of the courtroom. In addition, our lawyers have an extensive background handling enforcement and modification issues. If you would like to learn more about child support and what support you may be required to pay or entitled to receive, call one of our three office locations: Dallas, Plano and Austin or fill out the consultation form today.